OCTOBER is the story of an unconventional bond shared by two people in an extraordinary circumstance. Danish Walia aka Dan (Varun Dhawan) works in a five-star hotel in Delhi. He is arrogant and often argues with his seniors and even the guests. Shiuli (Banita Sandhu) also works there and both are friends but aren’t that close. On the eve of New Year, the hotel staffers decide to have their own little party at the rooftop of the hotel, situated on the 3rd floor. Shiuli attempts to sit on the parapet and she slips and falls down on the ground. She is immediately hospitalized and slips into coma. Shiuli’s colleagues, including Dan, pay her a visit and in a few days, they move on. But Dan is unable to do so and few weeks later, he learns from his colleague that Shiuli’s last sentence before slipping was ‘Where is Dan’. As soon as Dan comes to know about this information, he gets even more obsessed. He regularly starts paying Shiuli a visit at the hospital and even gets introduced to her mother, Professor Vidya Nair (Gitanjali Rao) and her siblings. Shiuli’s uncle meanwhile makes it clear to Vidya that there’s not much hope when it comes to improvement in Shiuli’s health and that she should pull the plug. But Dan motivates Vidya not to do so. What happens next forms the rest of the film. Juhi Chaturvedi’s story rests on a wafer-thin plot and is too arthouse. Her screenplay is not quite engaging as well as it moves at a slow pace. The movie is devoid of love story and romance however there are moments which indicate that it is a love story. One has certain expectations from her since she’s written some very interesting films like VICKY DONOR , MADRAS CAFÉ  and PIKU , all also directed by Shoojit Sircar. But her work in OCTOBER is a far cry from her previous films. Also one gets a déjà vu of the character of Anand bhai in MUNNABHAI MBBS  and the recent much loved Hollywood film THE BIG SICK . But again, OCTOBER is nowhere close to both these movies. Even with the screenplay, she struggles. Juhi Chaturvedi’s dialogues however are quite interesting. Shoojit Sircar’s direction too is a bit shaky. It’s surprising to see such a film made by a prolific director having abrupt cuts, sudden fade out etc. A few sequences might be difficult for viewers to comprehend. For instance, the scene where Dan informs Shiuli where he was on that fateful night. The slow pace moreover tests the viewers patience. Thankfully, in the second half, when the film becomes a bit simple, the film has lovely scenes. But overall, a very miniscule section of audience is going to give the film thumbs up! The opening sequence of OCTOBER is beautiful. The opening credits are surprising as Banita Sandhu is mentioned followed by Geetanjali Rao and only then Varun Dhawan’s name appears on the screen! The workings of the five-star hotel are very nicely depicted and Dan’s entry is quite simple but gives an idea about his bizarre traits. The sequence where Shiuli falls from the rooftop is presented in a very matter-of-fact way, sans any drama. In a way, it adds a lot to the impact. But sadly from here on, there’s hardly any movement in the story. Even in the second half, not much happens but few moments are nice and touching. The climax is very emotional but these are too little and appear too late in the day. Shoojit Sircar manages to extract some fine performances. Varun Dhawan is the soul of OCTOBER and is the glue who keeps the film tied together. He gets to play a very different character that is positive but also has certain annoying habits. But Varun ensures that in the long run, Dan doesn’t turn out to be an irritating person. The audience hoots for him as he struggles to heal Shiuli and this aspect would surely be loved by the viewers. Newcomer Banita Sandhu makes a very promising debut and gets to play a very difficult character. One might argue that she doesn’t have much to do. But even in scenes where she’s merely lying on the bed, the expressions that she gives are praiseworthy. Gitanjali Rao gives a very nuanced and credible performance. She brings out the trauma faced by a mother and the only earning member of the family who’s suddenly faced with the biggest challenge of her life. Sahil Vedoliyaa (Manjeet) is decent while Prateek Kapur’s (Asthana) performance works big time due to his impeccable dialogue delivery. Ashish Ghosh (Dr. Ghosh) is endearing. The actors playing Manjeet’s girlfriend, Dan’s mother, Shiuli’s siblings, Shiuli’s uncle and the nurse also do a fine job. OCTOBER surprisingly is a songless film with only ‘Manwaa’ played in the end credits. October Theme also is featured and has a nice, emotional feel to it. Same goes for Shantanu Moitra’s background score. Avik Mukhopadhyay’s cinematography is excellent and captures the empty Delhi streets, the ICU, the cold Delhi weather, the flowers lying on the ground and the beauty of Manali perfectly. Mansi Dhruv Mehta’s production design is first-rate. Veera Kapur Ee’s costumes are real but at the same time appealing. Chandrashekhar Prajapati’s editing is good but a bit rough at places. On the whole, OCTOBER is an offbeat and a sensitive film which rests on a wafer thin plot and suffers from a slow pace. 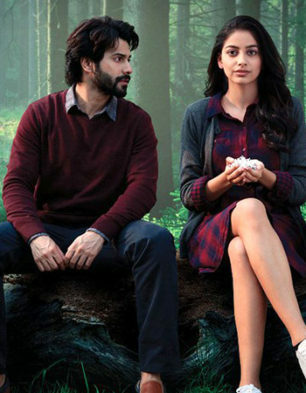 The movie is sure to win critical acclaim for Varun Dhawan's outstanding performance but has hardly anything for the masses. At the box office, the movie will appeal to a niche section of the multiplex going audience.